As Black History Month (aka the shortest month of the year *side eyes*) comes to an end it couldn’t have been a better time to honor Lauryn Williams. On February 20, 2014, 30-year-old bobsledder Lauryn Williams made history by winning an Olympic silver medal in women’s bobsledding. Some may not remember Williams already earned a gold medal for track and field in the 2012 Summer Games and a silver medal in 2004. The win made Williams the first Black woman and first American female athlete to hold medals in both Games, as well as being the second US athlete to hold the honor since 1932. In July 2013, a nagging injury left me unable to finish, what was likely to be, my final track season. I returned to the states feeling dejected. But, a fortuitous conversation with Lolo Jones, a hurdler known for joining the bobsled ranks in the midst of her track career, changed my mood. After our conversation, my interest was piqued and with stage 1 of the trials looming, I decided to hop on a plane to Calgary and give bobsledding a try. With just one training session under my belt and a bum leg, I managed to finish 3rd in the Push Championships and my bobsled adventure began. 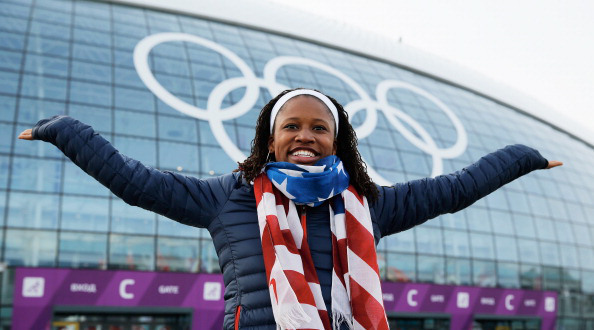 Williams admitted she is not sure about her future plans about competing in 2018, but her title as first black woman to win silver and gold medals in both Summer and Winter Olympic games is remarkable.